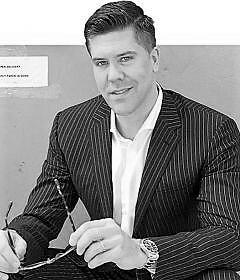 Fredrik Eklund, New York City Real Estate Broker. TV Star. Best Selling Author. Business Speaker. Born and raised in Stockholm, Sweden, Fredrik Eklund is a New York City real estate broker, Bravo TV reality star, and New York Times best-selling author. With his trademark high kick, record-breaking sales, and socks as colorful as his personality, Fredrik Eklund has become a staple of the New York City real estate scene. As the top broker at Douglas Elliman and co-founder of the Eklund Gomes Team, Eklund has secured over five billion dollars in closed residential sales since arriving in New York in 2003. Fredrik Eklund has emerged as Manhattan’s “Broker to the Stars,” having sold luxury penthouse apartments and mega-mansions to many of Hollywood and the music industry’s biggest names. In January 2016 alone, he secured over $200 million in sales to New York’s most elite buyers. Originally from Stockholm, Sweden, Eklund is the star of the Emmy Award-nominated Bravo TV hit show, Million Dollar Listing New York—entering its sixth season in 2017. He has also been featured in GQ and Fox’s PageSix TV, and regularly engages in speaking tours across the globe. Eklund’s 2015 book, The Sell: The Secrets of Selling Anything to Anyone, published by Avery, quickly became a New York Times Bestseller. Connecting with audiences all over the world, Fredrik has amassed millions of social media followers who love getting a glimpse into the life of the flashy real estate mogul. On February 9, 2013, Eklund married artist Derek Kaplan on Little Palm Island in the Florida Keys. The couple live in New York with their miniature dachshunds Mini Mouse and Fritzy.